The lakes of Liez (290 hectares), Charmes (197 hectares), Saint-Ciergues (94 hectares) and Villegusien (199 hectares) have an excellent reputation for fishing large pike. From spring to late summer, live-bait or dead-bait fishing or trolling all give good results along the banks and near weed beds. 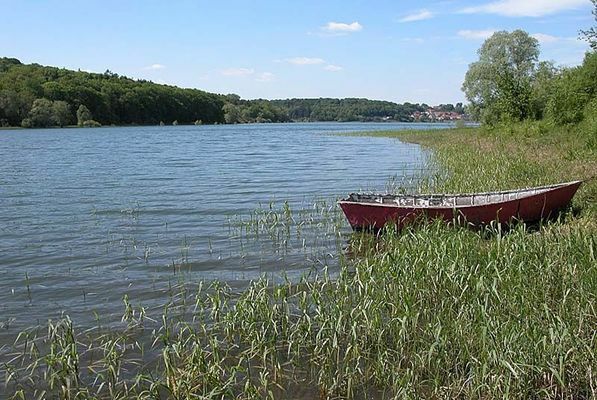 In autumn and winter, live-bait fishing can also be practised from banks and constructions (the Liez and Charmes dams). Introduced only recently, the many pikeperch captured in 2000 measured about 70 cm and weighed 5 to 6 pounds. They are fished mainly from boats towards rocky outcrops. Introduced clandestinely into the Charmes lake, many have already been caught in 2000. One of the records is around 2.2m. The Liez is also home to some beautiful specimens, especially around the great depths. The use of an echo-sounder allows a quick survey of suitable places. Carp is well represented in the four lakes of the Langres district. There is no review about La Peche Sur Les 4 Lacs Du Pays De Langres, be the first to leave one !